Trust me when I say that working with audio editing software, sound effects, music, voice files, instrument files, and everything else can be very daunting. Which is why I have a total respect for anyone and everyone who consistently works hard to produce podcasts or video programs from week to week. Editing sound and video really is a lot of work and it’s time consuming. For example, the segment audio spots I submit are usually less than 1 minutes and 30 seconds long and can take a few hours to put together. I can’t even imagine some of the time people put into shows that run from 1 – 2 hours! The kind of time and dedication in producing an entire podcast or video show from week to week must be like a second job for the people who create them. Imagine trying to juggle a job, your family, your game time, and then try to produce a full weekly podcast too. That’s just crazy to me and it even gives me a headache just thinking about it. So if you listen to any podcasts at all, please try to find the time to send them an email or even a tweet just to tell them “thanks”. I know they’d appreciate it. 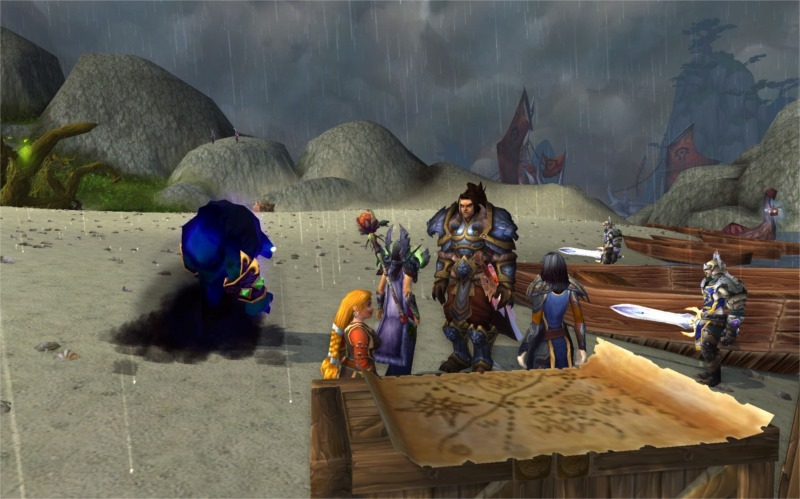 At that time, like me, Rho was just starting to submit some of his own audio segments to several of the WoW podcasts as well. As if it was yesterday, I vividly remember how passionate Rho was in wanting to do a good job. We only talked for less than an hour, but I was impressed with Rho’s determination. He told me his dream goal was to eventually produce his own show and judging by his excitement I knew he’d eventually make it happen. When I think back to that conversation I laugh to myself because I remember telling him to be careful for what he wished for :) Since our first meeting on vent, Rho has worked hard towards making his dream a success. Not only did he keep submitting several audio segments to a few of the podcasts, but soon he started his own WoW Podcast show called, Realm-Maintenance. On the show, he gives an overview of current news and discussions, patch notes updates, and brief highlights and glimpses into other podcasts. Rho has even done numerous interviews and spotlighted other WoW podcasters too. A few months ago Rho also joined Medros as co-host on the All Things Azeroth show. IRL and in-game he’s friends with Jangasm of the Something Suggestive podcast where he has appeared on, and even hosted her show. When Eljeppy from CtrlAltWoW was away due to illness, Rho also filled in several times as a guest host. I have no idea how many shows he’s been a guest on over the past six months, but I know it’s a lot and I can see why. He’s a nice guy who loves the game, and he’s passionate about doing podcasts. If you hadn’t read any of my previous posts, shortly after the patch 5.2 dropped, both Rho and I were asked to take part on The Twisted Nether Podcast for their roundtable discussion. The show was therapeutic to some degree because both Rho and myself vented our frustrations about trying to farm for the Sealed Tome of the Lost Legion. Less than 4 days later Rho got one! Hydra got one on the first rare mob she killed on the Isle of Thunder. Me? I farmed for another two weeks and still had no luck. Nada! OMG, it was p-a-i-n-f-u-l-! But, being the nice guy that he is, Rho surprised me in vent one night by giving me a tome so that I could finally begin the green fire quest line too. And do you know what his words of wisdom were for me as I flew off to Outland to begin the first quest? “Be careful for what you wish for!” :P Ha! Thinking about him saying that still makes me laugh too. What specs are you currently running? Destruction. What’s your favorite specialization and what do find the most appealing about that playstyle? Destruction primarily because it was a fairly easy spec to learn and doesn’t require heavy maintenance when it comes to watching cooldowns/DoTs/etc. 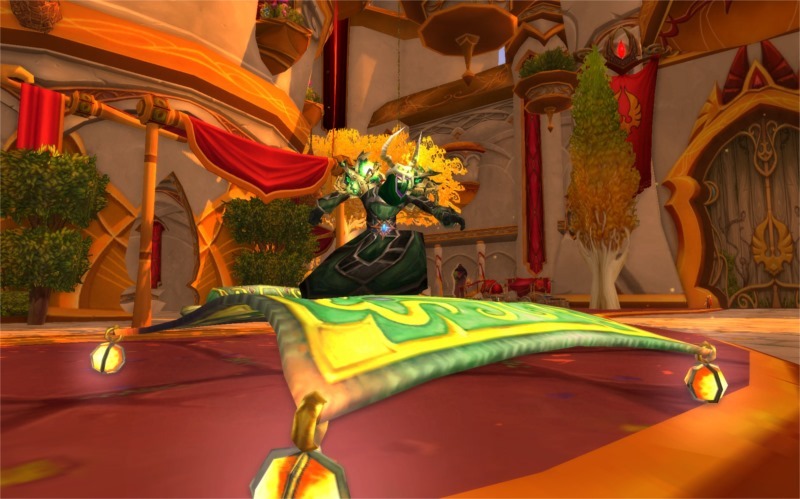 What addons do you currently use besides the basic DBM and Recount? TellMeWhen (monitors cooldowns), Omen, TomTom, Quartz, NPCscan. Do you prefer using a minion or using the Grimoire of Sacrifice? Would prefer to use Grimoire of Sacrifice, but since 5.2 I have been using Grimoire of Supremacy in most situations. Which is your favorite demon to command and why? Voidlord because it makes solo content that much easier. Do you use any macros and if so which one? I’ll have macros set up for on-use trinkets typically. I have a ton of macros written up for the green fire fight, but they’re specific to that encounter. Your most (favorite / embarrassing / funny / proud / memorable) moment while playing your warlock was? Most frustrating: The Kanrethad Ebonlocke encounter, all thirty hours I’ve spent on it… and it’s not over. What flavor are your warlock cookies (examples: Chocolate Chip, Carmel, Salty QQ Mage Tears, Spicy Hawtness)? Pistachio. 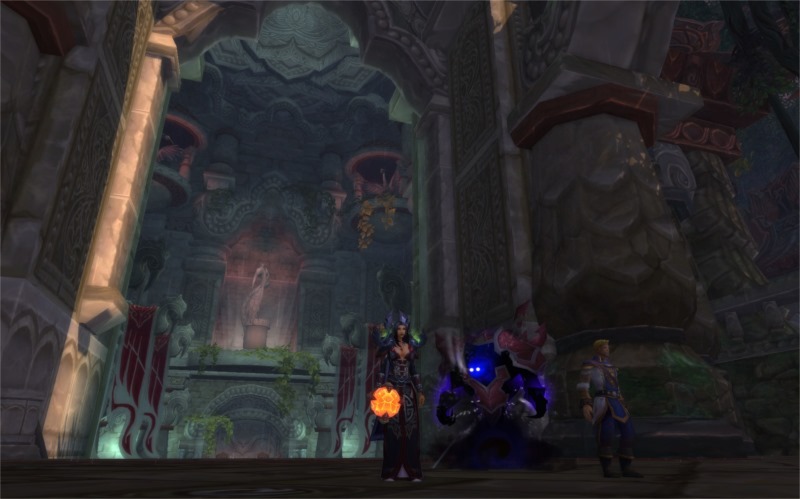 What is your favorite dungeon or PvP battleground and why? Strand of the Ancients. It’s a very unique battleground which puts more emphasis on enemy crowd control than other BGs. Who is your favorite raid boss and why? Yogg-Saron. Back when the tier was current it was a very challenging encounter and it felt very rewarding to triumph over it… moreso than the Lich King even in my opinion. What do you like most about playing a warlock? Plenty of tools for soloing and incredible burst potential. If you could add, change or remove anything with regards to the warlock class what would it be? Green fire baseline. I appreciate the class quest and feel anyone who completes it should have an achievement or Feat of Strength. Not a fan of making it a symbol of prestige. 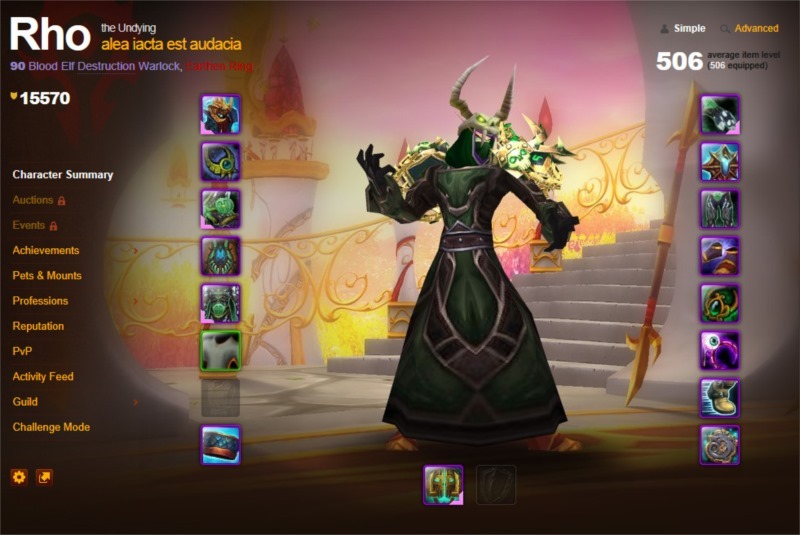 Do you have any tips you can offer for newer warlock players, or to those who are new to your specialization? When playing Destruction, ideally you want to get the most out of your Chaos Bolts and cast them when you have proc’d buffs going (Jade Spirit, Lightweave, trinkets, etc). Try not to cast Chaos Bolts without at least one or two of your buffs proc’d. How can readers get in touch with you? They can follow me on Twitter @RhoWoW or listen to me on the All Things Azeroth and Realm Maintenance podcasts. The Audio segment was as epic as the quest line. Hats off to you. Thanks! I really appreciate the kind words. It was a lot of fun to make, and I’m glad Rho liked it enough to use it. Stop by anytime!